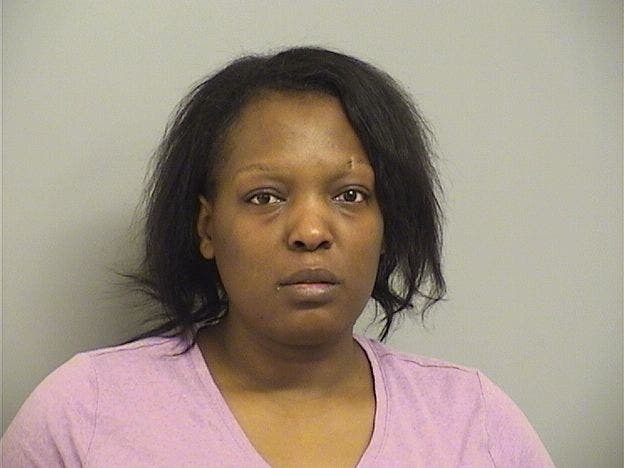 Oklahoma Arby manager arrested after shooting and murdering a client with whom she was involved in an argument, police say Saturday in Tulsa. Police told Fox News that Desean Tallent, the late 25-year-old, had threatened Young and spit before leaving the store. They did not explain what had caused the dispute. An hour later, she says, Tallent returned to the store, and Young got into her car and followed him from the parking lot. Young, who was reportedly in possession of a .45 caliber license without a license, once fired at Tallent's SUV and hit him in the torso, said the police. Tallent later pushed the car against the entrance of a Walmart and was pronounced dead in a local hospital. Young is reported to have returned to work. She is being held in Tulsa Prison without detention. Mike Sinkewicz of Fox News contributed to this report.